The balance of payments is the record of a country’s transactions / trade with the rest of the world. Errors and omissions. It is hard to collect all data so some is missed out. 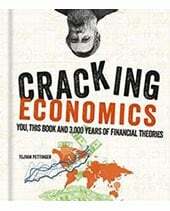 In theory there should be a balancing between capital and current / financial account. If there is a current account deficit, there should be a surplus on the capital / financial account. 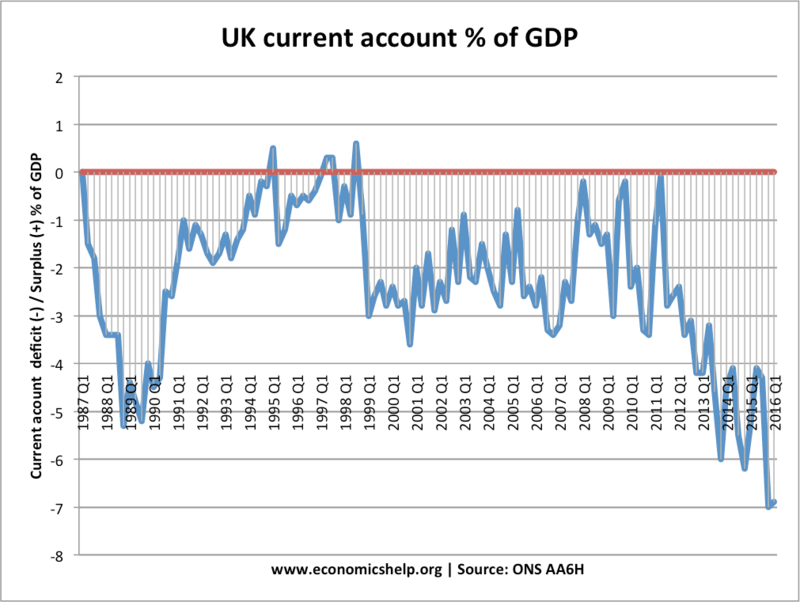 The UK has had a persistent current account deficit in the past 15 years. This is caused largely by the deficit in trade in goods, and recently a deterioration in investment incomes. In 2015, as a whole – the UK’s current account deficit was £96.2 billion (5.2% of GDP) at current market prices. This is relatively high, especially given stage of the economic cycle. The deficit for 2015 Q4 at 7.2% was the highest on record. Wages. For example, if UK companies pay UK workers abroad, this leads to money leaving the UK and is a debit on the current account. Currently, outflows to UK workers are greater than inflows to foreign workers in UK. Investment incomes. This is income received on direct investment. A deficit implies that the return on investment in the UK by foreign companies is greater than investment abroad. This reflects a better rate of return on UK investment, with profit from inward investment being sent back to country of origin. Secondary income. Transfers, e.g. funds to EU, UN. Since the mid 1980s, the UK has generally had a persistent current account deficit. 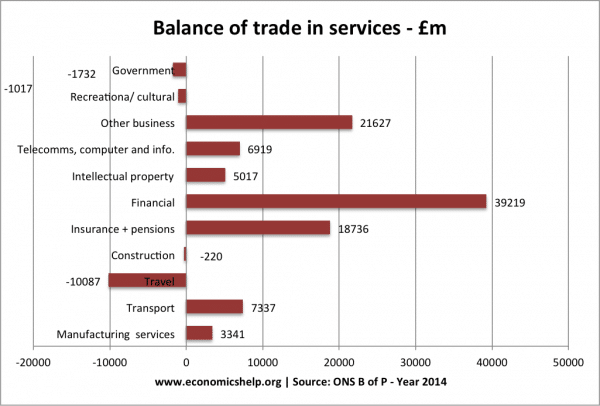 Essentially, the UK has been importing more goods and services than it has been exporting. 1. Overvalued exchange rates. Countries in the Eurozone which became uncompetitive (e.g. 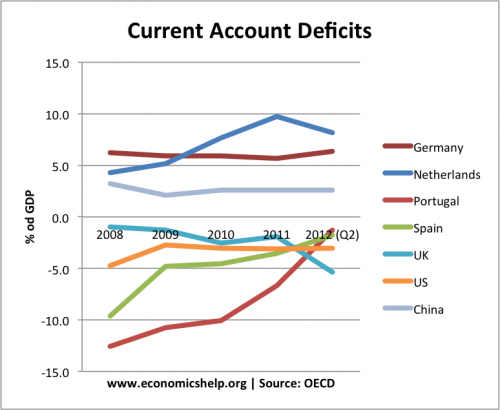 Greece, Portugal and Spain) experienced large current account deficits. This is because an overvalued exchange rates means exports are more expensive, but imports are cheaper. This encourages domestic consumers to buy imports. It also makes it hard for exporters because they are relatively uncompetitive. See: competitiveness in the Euro. 2. High consumer spending. If there is rapid growth in consumer spending, then there tends to be an increase in imports causing a deterioration in the current account. For example, in the 1980s boom, we saw a fall in the savings rate and a rise in UK consumer spending; this caused a record current account deficit. The recession of 1991 caused an improvement in the current account as import spending fell. 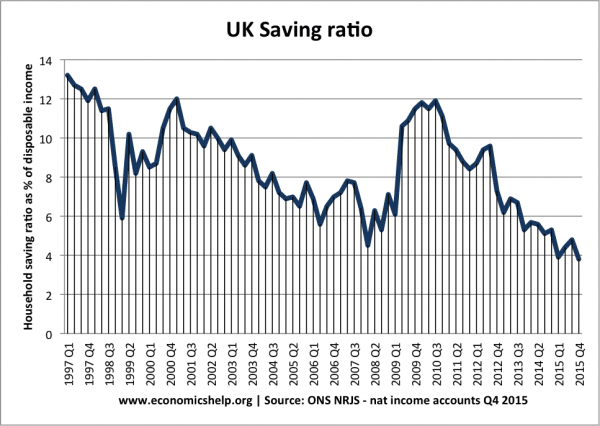 In 2015, the UK saw a low savings ratio – a reflection of relatively high consumer spending to overall economic strength, this leads to higher imports. 3. Unbalanced economy. An economy focused on consumer spending rather than investment and exports will tend to have a bigger current account deficit. 4. Competitiveness. Related to the exchange rate is the general competitiveness of firms. If there is a decline in relative competitiveness, e.g. rising wage costs, industrial unrest, poor quality goods – then it is harder to export causing a deterioration in the current account. 5. Growing deficit in investment incomes. The UK has a deficit in trade in goods. 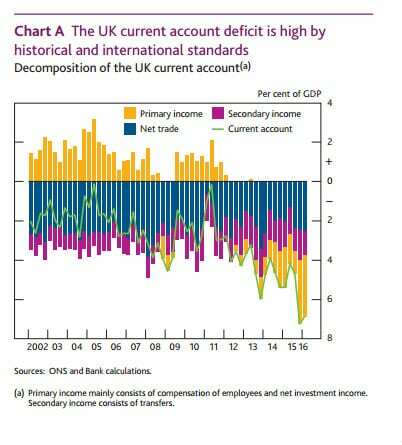 But, since 2011 the current account deficit has been increased due to a fall in direct investment income. Investment earnings have declined from a surplus of 3.3% of GDP in 2011 to a deficit of 0.2% in 2015. Part of the reason for the fall in FDI earnings is the decline in world commodity prices since 2011. The UK has a relatively high percentage of assets in oil industries, therefore fall in oil prices has reduced earnings from these oil related industries. 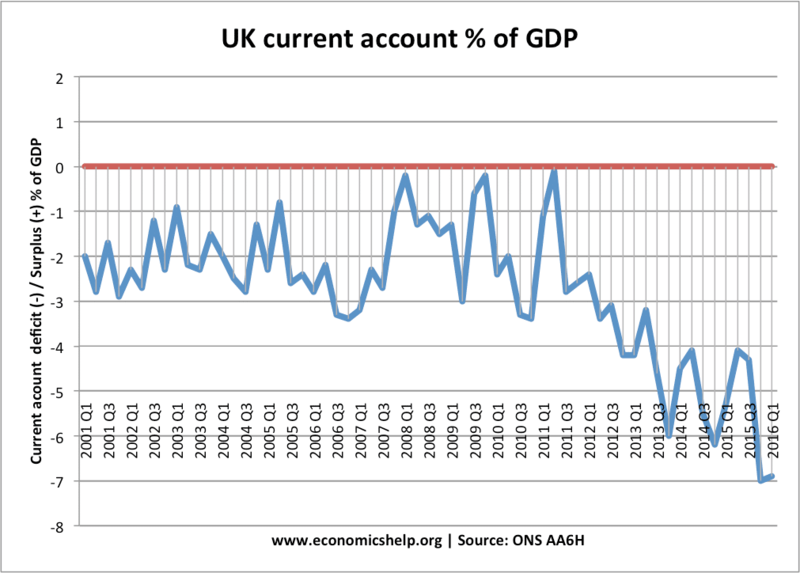 What explains the UK’s persistent current account deficit? 1. Deficit in goods. 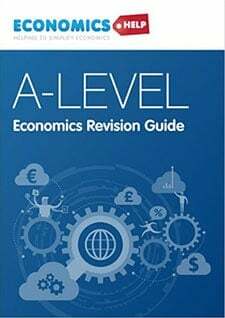 Since the process of de-industrialisation accelerated in the early 1980s, the UK has had a large deficit in goods. 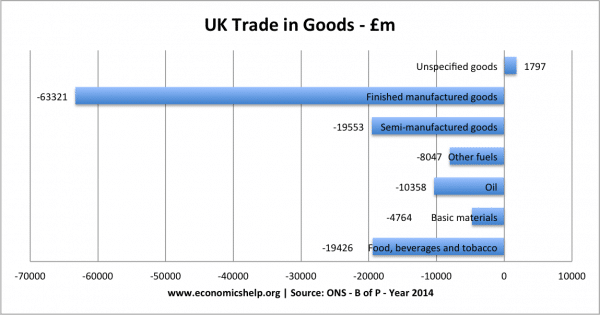 The UK still manufacturers goods, but we have become a net importer – especially of manufactured goods (e.g. clothes, computers, cars). The graph below shows the sectors with the biggest deficit. For example, this shows the UK had a deficit of £63.32 bn for finished manufactured goods in calender year of 2015. The UK is also a net importer of oil, fuels, basic materials and food & beverages. This deficit in goods, is partly offset by a surplus in services (e.g. insurance, financial services and business services and finance) but, it is not sufficient to overcome the trade deficit. 2. Financial account surplus. The UK has been able to attract sufficient credit items on the financial account financial flows, e.g. portfolio flows, investment flows to finance the UK’s current account deficit. The UK has had a relatively low saving rate – compared to some of our competitors. A low saving ratio implies a relatively higher percentage of spending on consumer goods (which tend to be imported). Supply side policies to improve competitiveness. In other words, if we have a deficit on the current account to buy goods from China, we need foreign currency to come from some other source to keep buying these imports. 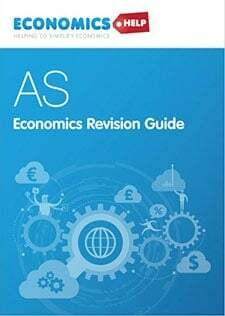 One example is to think of UK consumers buying Chinese goods – causing a deficit on the current account. Then Chinese banks and firms invest some of this money back into UK investment trusts or build a factor in the UK. These leads to a credit on the financial account. Our current account deficit is being financed by a surplus on financial flows. 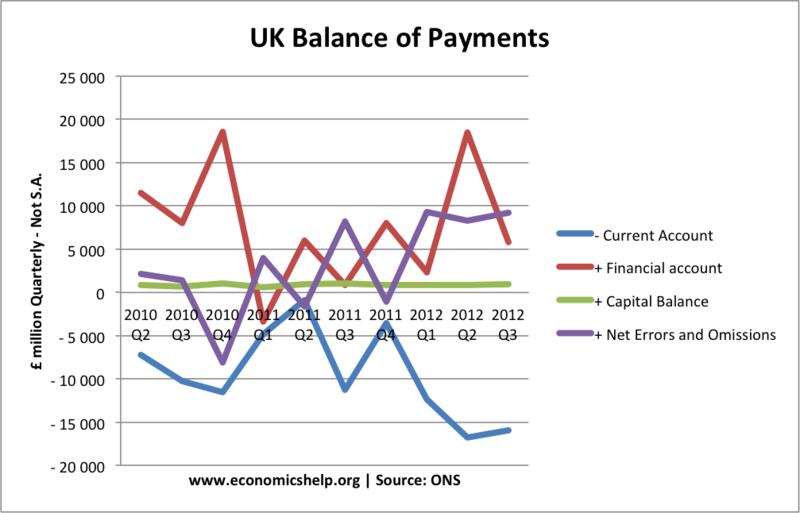 By 2012, the UK has developed one of largest current account deficits. 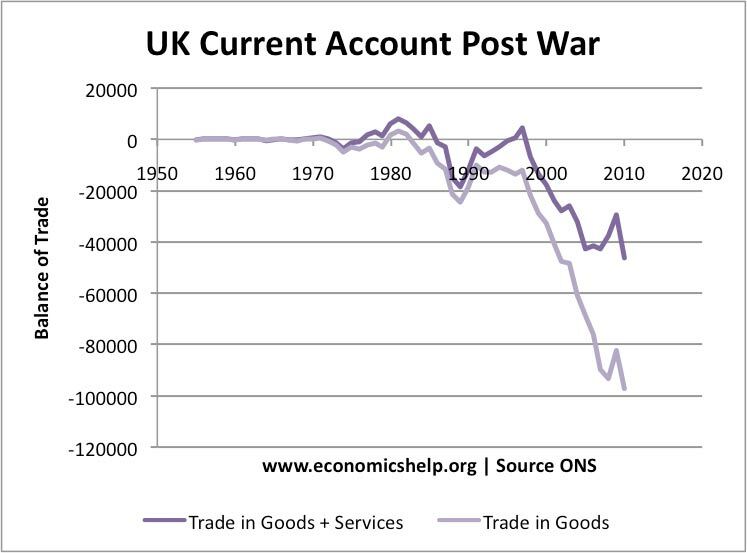 Should we worry if the UK has a current account deficit? It is a sign of uncompetitiveness, which will lead to lower economic growth and poorer prospects in the long run. It is a sign of an unbalanced economy. 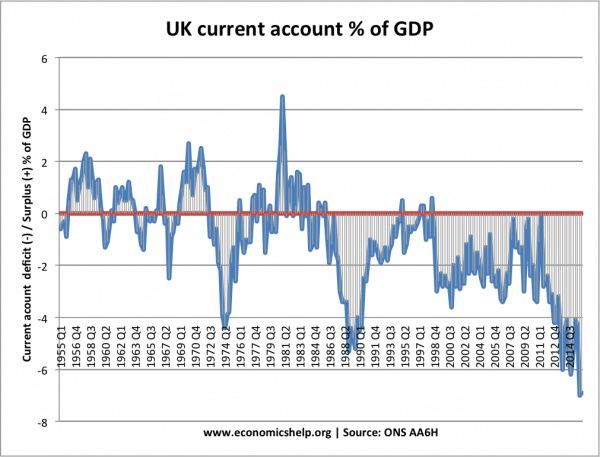 The UK has had a persistent deficit since the mid 1980s. Countries with large current account surplus have not necessarily done better, e.g. Japan had a long period of stagnation. In era of globalisation, financial flows are easier to attract and therefore the deficit is financed by these capital inflows. If the current account was too large, there should be a depreciation in the exchange rate to restore the balance. A current account deficit is a bigger concern in a fixed exchange rate (like Euro) because there is no option of depreciation. 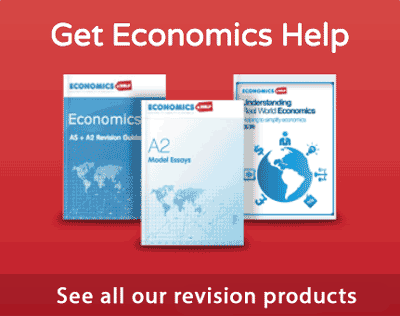 More reading on: Should we be concerned about a current account deficit? Trade deficit. The trade deficit is the biggest component of the current account. This means trade in goods in services; though some times people may mean to refer to the trade in goods. Widening of Trade Deficit. This means the deficit on trade in goods became larger. Also referred to as a deterioration or ‘worsening’. Balance of payments crisis. When a current account deficit can’t be financed by capital flows causing a rapid devaluation in the exchange rate. 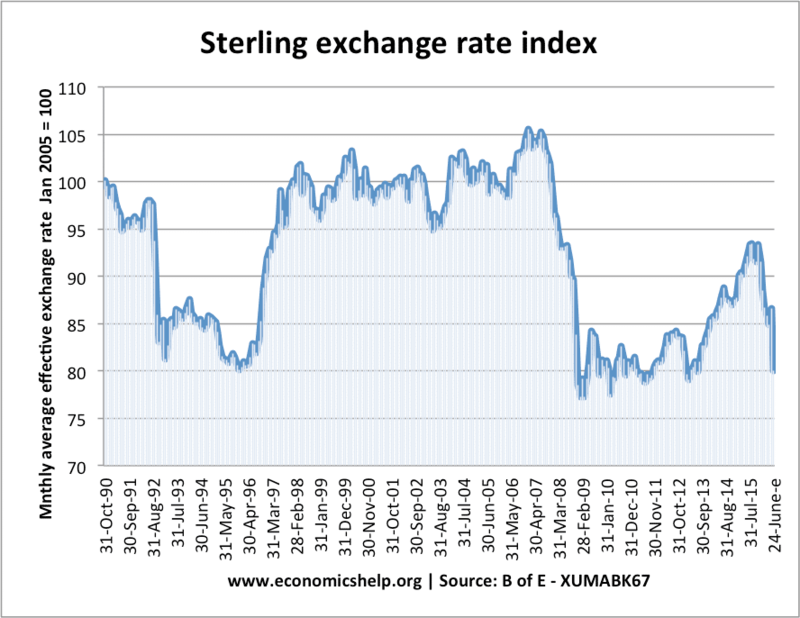 Sterling exchange rate index, which shows value of Sterling against basket of currencies. This entry was posted in trade and tagged balance of payments, stats. Bookmark the permalink. Thanks this page is helpful. 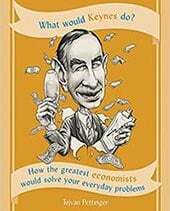 Can you answer a question? When David Cameron says that the govt has reduced “the deficit” by 25% what is he talking about? PS. Tejvan = तेजवन ? Be careful – just because the deficit is being reduced, it doesn’t mean the debt is going to be reduced. The deficit is how much the government borrows each year. The government has to borrow each year because it spends more on services than it collects in taxes. Each year we owe more and more; this is our debt. The debt therefore is the accumulated deficits built up over the years. The opposite of a deficit is a surplus. This is when the government collects more in taxes than it spends on services. Until we are running a surplus, the debt will continue to increase. It means the rate at which the UK is accumulating its debt has decreased, while the debt itself, already gargantuan, continues on its merry way – up. Hi, just been watching tv about indenpedence and the scottish leader says our balance of payments would double if there was no oil money and they had their own money .What would happen to the english pound? would it go down? In layman’s terms what is the ‘deficit’ and the ‘debt’ for the UK. And is the situation now better than it was in 2010? The deficit is the amount the UK borrows per year, as the amount the Government receives in tax is lower than spending. If tax income was higher than spending we wouldn’t have a deficit. The debt is the total amount the UK has borrowed-the sum of the deficits put together that have not been paid back. Although the deficit has fallen since 2010 from £150bn highs to around £20bn it is still increasing the UK national debt. However if growth increases faster than the debt, the debt as a percentage of GDP is actually decreasing. The amount of public outcry means that the deficit may never be turned into a surplus and therefore the debt will continue to increase. But at a slower rate.